Wrinkle reduction Injections like botox are the most popular non-invasive treatments in the US and worldwide. Learn more about these renewing procedures. Medical Cosmetic Center also provides specialized services and procedures for men such as fat removal. Learn about the variety of options that are available. With many new and exciting tools now available to medical science, we now know that aging is a treatable condition that can be slowed or reversed. Aesthetic surgery can treat sun damage, acne scarring, hyper pigmentation, fine lines & wrinkles, and tired looking skin caused by a build up of dead skin cells. 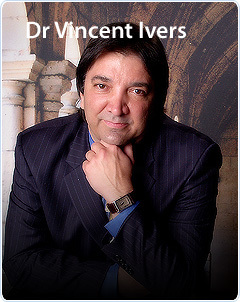 Aside from being a board certified physician and focusing in minimally-invasive cosmetic surgery, Dr. Vincent Ivers is focused on being an expert in the cosmetic enhancement field. We offer the latest in minimally invasive cosmetic surgery procedures, including minimally invasive procedures as well. This not only includes the traditional dermal fillers and Botox that most Medical Spas offer, but also the latest in laser technology like SmartLipo, Liposuction, Vaser Lipo, CO2 Smartskin, and other laser lipo. With over 18 years of experience and unsurpassed success in Cosmetic Surgery and Dermatology procedures combined with State of the Art and Advanced Technology, Dr. Vincent Ivers has perfected the art of laser liposuction and laser cosmetic surgery. Dr. Vincent Ivers offers a Medical Age Defying Panama City Spa unlike any to the area. Throughout the Florida Panhandle, The Medical Cosmetic Center is known as "The Laser Cosmetic Center of Excellence". Contact us today for all of your needs for the following types of services: lipo, face lift, smartlipo, neck lift, fat removal, dermal fillers, CO2 Smartskin, facials, and much more.